Extreme downhill action requires extreme protection. In spite of the reinforced hardshell construction, the uvex HLMT 9 bike keeps a cool head thanks to its intelligent ventilation system. The fullface helmet’s functional inner lining absorbs and transports sweat for the best wearing comfort. 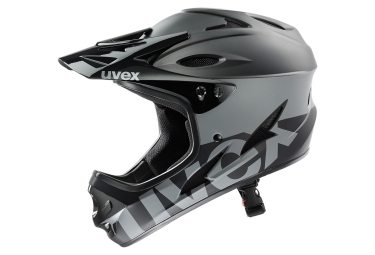 Style, security, and the right materials make the uvex HLMT 9 bike the perfect cover.